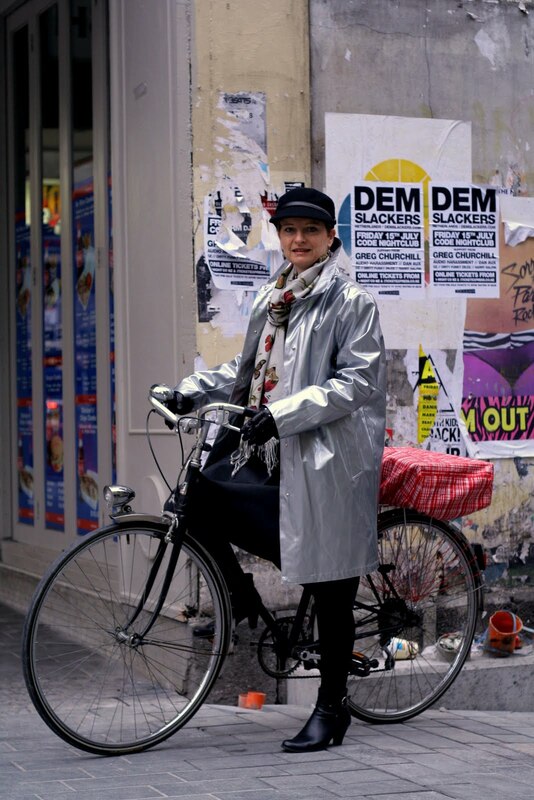 – I have tried ‘bicyclist’, ‘utility cyclist’, ‘transport cyclist’, ‘commuter cyclist’, ‘urban cyclist’ … I have even tried ‘cycling non-cyclist’, ‘person who just rides a bike to get from A to B’ and ‘lower case C cyclist’. None have worked for me. I either sound like I work for the electricity company, I’m a train-spotter with full-on fluoro, or I have simply lost my marbles! In places like Copenhagen and Amsterdam, I am just a cyclist: a person who rides a bike. However, in car-centric places such as New Zealand, Australia and America, to name a few, ‘cyclist’ has a very different meaning. The word ‘cyclist’ is synonymous with ‘road vermin’ – an aggressive rule-breaking interloper dressed in lycra and fluoro. Languages evolve and diverge in different places. In the same way that ‘sick’ and ‘bad’ and ‘gay’ have completely different meaning in the 21st century than they did in the 19th century, the old meaning of cyclist has been forgotten and replaced with the new one in many car-centric countries. Should we try to go backwards and reverse this to the original meaning? Based on the success that I have had with my two teenage daughters (none), I think not! I have tried working with the existing new terminology of ‘cycle chic’ but this causes confusion as, in general, New Zealanders are not known for their elegance and sense of style. Stylish cycling is perhaps just that one step too far in our very nascent cycle culture. Indeed the national dress of board shorts, T-shirt and jandals is standard for most people, with perhaps a slight seasonal alteration to jeans, T-shirt and trainers in the winter, so the idea of riding a bicycle AND being stylish is an unlikely combination. The word ‘chic’ is also not a common one in these parts and is often mistaken for ‘chick’ and consequently ‘cycle chic’ is something that only girls do. I have also tried ‘citizen cyclist’ but that sounds a little communist in general conversation. Having thought it through, I believe that creating a new word is the best option and quite a common solution when you look around. Dictionaries adapt to common usage, and languages such as French create new French words to accommodate new English words, rather than have their language diluted. I needed a new word. One with a full range of derivatives to suit every occasion. One that rolled off the tongue and was built from connected words. That word is cyclopolitan – cycle (from the Latin cyclus, meaning “cycle”, “circle” or “wheel”) + politan (from the Greek Politan, meaning “city” or “Municipal”). To get your head around it, think cosmopolitan but with a bicycle; urban style, 21st century transport. It’s aspirational, it’s cool, and it’s very ‘now’. If you’re up for the challenge, see if you can use this word in everyday conversation. Report back on your progress and let me know if you find new and innovative ways of using it. I’m pleased you like it Andy. It is an up hill battle in New Zealand and it is very interesting seeing what they are doing in other places during our travels. I can really relate to your experience. I also find it very difficult to explain to people that I just ride my bike as a mode of transportation and because I enjoy it, and not because I like racing or am preparing for some event. It’s tricky to find the right word that just means “I just ride a bike” with no stereotypes coming into mind. I like your idea of “cyclopolitan” as I can identity to it a lot, but I also feel that it doesn’t quite encompass the entire use of my bike as I cycle outside of cities quite frequently too and take my bike touring when I can (since I don’t want a car, I don’t have much choice if I don’t want to pay the train/bus fares and want to go wherever I feel like). Thanks for your comments. I also wondered about the ‘just in cities’ connotation of the word but I was drawn to the similarity with the word ‘cosmopolitan’ as I was trying to get at the ‘worldly, knowing, cultured, globally aware’ aspect of that word. I think a Cyclopolitan is all of these things … plus a bicycle user.